Could Toys R Us rise out of the ashes of bankruptcy? Investors are betting that it is possible to save the former toy retailer giant rather than auction off its assets. The retail industry was shocked, though not surprised, when Toys R Us filed for bankruptcy in September 2017. Toys R Us had inherited substantial debt when private-equity owners bought the company in 2005. In the 20th century, the company would have been able to pay off this debt through ordinary sales. In the 21st century though, Toys R Us lost substantial business to Amazon and other internet retailers. Toys R Us was forced to close most of its stores in North America, Australia, and Great Britain in the summer of 2018, though some stores are still open in other regions of the world. The controlling investors of Toys R Us filed notice in October 2018 that it would no longer be selling off its intellectual property assets as previously planned. Instead, the company unveiled plans to set up a “shop within a shop.” Toys R Us plans to create an independent company known as Geoffrey’s Toy Box and allow this new company to use existing Toys R Us stores to sell toys. It is unknown whether Toys R Us can actually make a comeback. Amazon and Walmart alone sell half the toys in the United States. Target and Barnes and Nobles have also increased focus on toys in the last decade. The competition will be fierce even with Toys R Us brand recognition. However, restructuring wouldn’t even be possible if Toys R Us hadn’t taken proper steps to protect itself. Filing for the correct type of bankruptcy is extremely important. Toys R Us filed for Chapter 11, which allows the owners to retain most control over the company and propose plans for restructuring. Chapter 11 plans usually involve selling off parts of the company to save the rest. For Toys R Us, it meant closing most of its stores in English speaking parts of the world to save stores in Asia and Central Europe. However, liquidation is not the only form of restructuring. As Toys R Us demonstrated, businesses can also shift assets into other areas of the company or even form new companies. Geoffrey’s Toy Box would be a new company that uses the Toys R Us brand to sell products, but without the burden of the $5 billion debt that Toys R Us owes to creditors. Restructuring allows for creative solutions and gives businesses an opportunity to rescue their company from insolvency. If investors had allowed the Toys R Us auction to move forward, the sale would have been for the copyrights and trademarks that the company held. Most significantly, Toys R Us had trademarked its own name and the names “Baby R Us” and “Kids R Us,” and had copyright protections for its mascot, Geoffrey the Giraffe. When a company like Toys R Us collapses, the only thing of real value is its branding and images. If Toys R Us hadn’t protected its intellectual property zealously, there would have been nothing for investors to revive after filing for bankruptcy. Toys R Us jealously guarded its trademarks and copyrights for decades. Since 1957, Toys R Us has filed claims against persons and companies seeking to use the “R Us” designation. Such imitators include: “Smokers R Us,” a tobacco chain; “Adults R Us,” an adult film series; and “PHONES R US,” a cellphone store. The sale of Toys R Us would have allowed other companies to purchase and expand the “R Us” titles. However, the trademark would not have been worth what it is today if Toys R Us hadn’t challenged others who tried to use the trademark. Filing for the correct bankruptcy is essential, but debtors should not neglect the importance of preparing for bankruptcy. For individual debtors, this might mean gathering all their financial documents or seeing a credit counselor. For businesses, the form of the business may play a large role in how bankruptcy impacts personal and corporate finances. A sole proprietorship or partnership may result in personal liability for the owners. On the other hand, bankruptcy of a corporation or limited liability company would not reach the owner’s personal finances. The corporate structure of Toys R Us limited most of the damage to certain regions of the world. 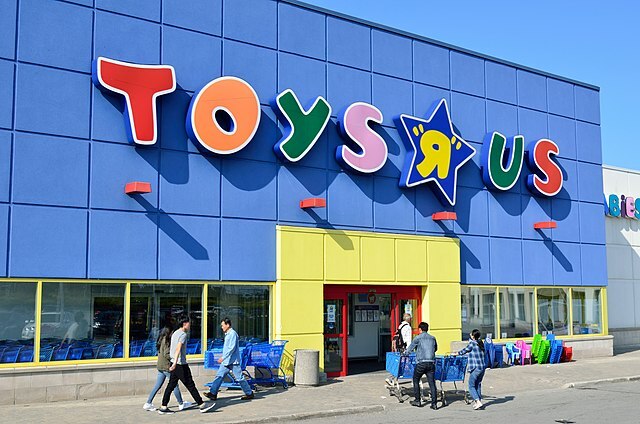 Toys R Us in Japan, China, and mainland Europe were formed by franchises that maintained a degree of independence from its parent company in the United States. Without that business autonomy and prior planning, Toys R Us losses would have been total. Instead, Toys R Us international chains would be the first buyers of the parent company’s intellectual property, which would have allowed some of the company’s legacy to live on even if investors hadn’t come up with a plan to save the revive Toys R Us.